Prize: We're running a free giveaway, and you're invited to participate! 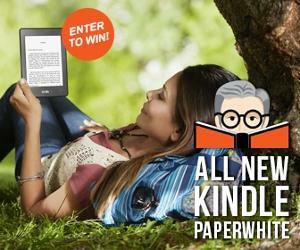 It takes 5 seconds to enter for a chance to win an All-New Kindle Paperwhite E-reader. Your odds of winning increase with every person you refer. No purchase necessary to enter. What you must do to enter: By entering this sweepstake you will be added to the Simply Charly mailing list. You are not obligated to remain on this email list in order to win this prize.